Eating well means feeling better – it can be that simple! Jen Oh is here to create a personalized nutrition program that will fit your lifestyle and goals. You will not be following a boring, low calorie diet consisting of tasteless food. My goal is to assist you in making healthier choices and feeling better. We can solve your health issues, gain energy, and revitalize your life. If you are not sure where to start, but want to improve the way you feel, look no further. Based on the Eating for Health model developed by Bauman College, you will learn the principals of seasonal, organic, unrefined, and local foods. We will work together to define a balanced diet and lifestyle that is not only good for you but that you enjoy. Each of us has a biochemical uniqueness that effects how our bodies react to food. Let me work with you to find the foods that nourish you best. 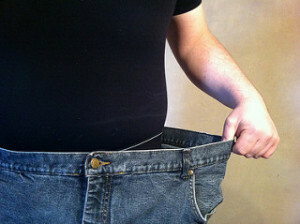 There is more to achieving and maintaining a healthy weight than meets the eye. We start with eating whole foods, incorporating fun activities, and regular stress relief techniques. We look at portion size, when, and how to eat. Then we look deeper – at other factors that may contribute to weight loss resistance include food intolerances, insulin resistance, adrenal fatigue, and overall hormone imbalance. We’ll implement specific support for your unique needs. Shopping for food can be daunting. With so many choices and conflicting info, it’s hard to know what to buy. First, we’ll go through your pantry to find out what foods you already have that are best serving your health and which ones aren’t so good. We’ll discuss alternatives and options. 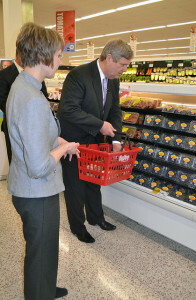 Then, we’ll walk through the market, aisle by aisle, and I’ll show you the best choices of your favorites foods. 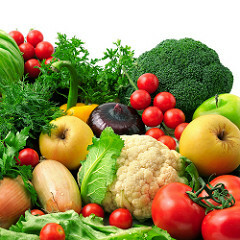 Learn how to pick the freshest produce and what the best options are. 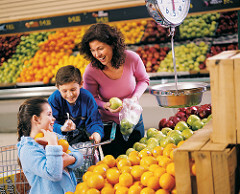 Understand how to read labels and ingredients and get the best value for your dollar. Many studies have shown that it may take up to 12 weeks to produce successful results that change eating habits, make lifestyle changes and permanently change your life. Whether your goal is to lose weight, gain energy, heal digestive issues, or control your diabetes, high blood pressure or high cholesterol. A structured Customized 12-Week Program generates remarkable results.Having a customized program just for you will guarantee success. Using your goals and nutritional needs we will develop a comprehensive meal plan that will accommodate your current lifestyle. Do you like to cook? If so, I can introduce you to exciting new recipes. Not so much? I will help you learn how to make healthy eating quick and easy! Work together to define your goals and implement realistic nutritional support programs. I will listen to your concerns and challenges and offer strategies and techniques for developing new, improved habits as you learn how to nourish your body with every bite. Get detailed information on calorie, fat, carbohydrate, and protein intake as well as important vitamins and minerals. It’s always an eye-opener to keep track of what we actually consume during the day. Information is power. A key component of your overall success is movement. By becoming active we help to build strength, support mood, and burn calories. We will work together to determine the right approach. You won’t have to spend your time in the gym (unless you want to) and will gain all the benefits of moving your body.